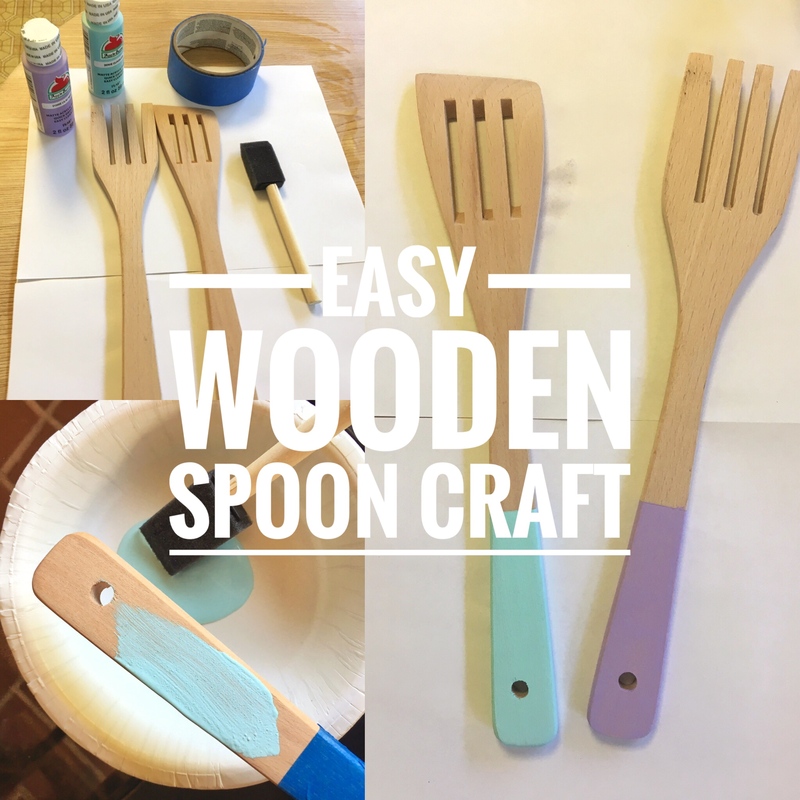 Painted Wooden Spoons are a VERY easy way to bring some color into your kitchen. Once you have the spoons, all you have to do is determine where you want the paint and then paint a few coats. 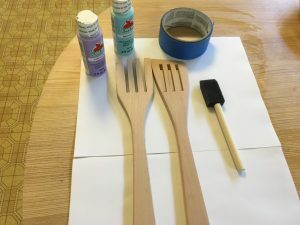 Within hours you can revitalize the look of your spoons. These painted wooden spoons also can serve as a cute inexpensive gift for someone. I added a ribbon to give away at a cooking craft party. 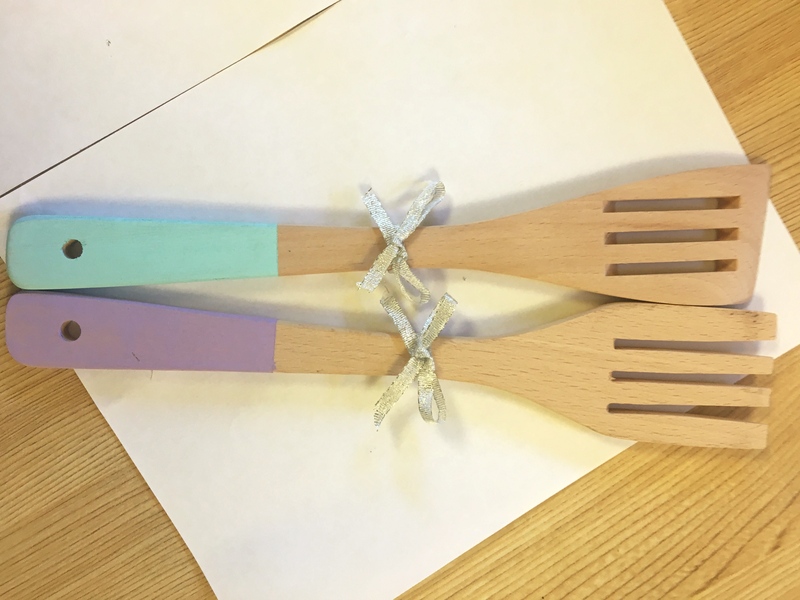 You can find the spoons at the dollar tree and pick any paint color you’d like for the spoons. For painting you can do the bottom, top, middle or whole thing depending on what you like. 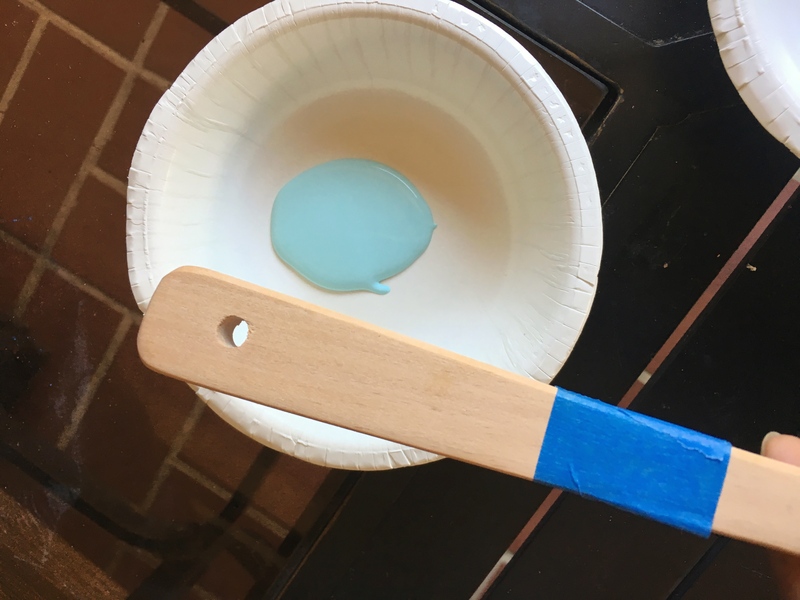 Just make sure to put about 3 coats of paint to make sure the wood is completely covered. 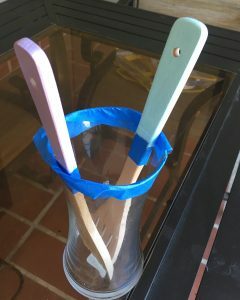 This is a great craft that doesn’t take too much time, cost a lot of money, and can be done with kids. 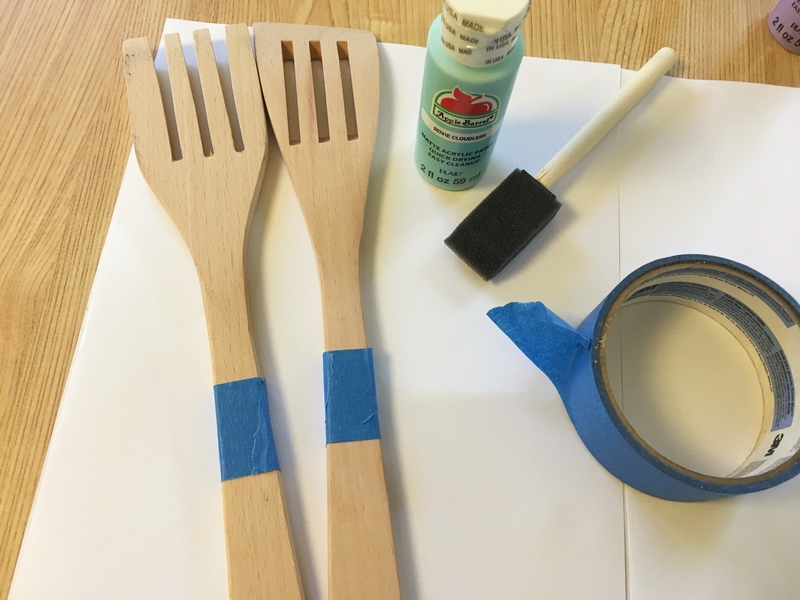 1.Cover the parts of the spoons you don’t want painted with painter’s tape. I measured my spoons to make sure I put the tape at the same place on each spoon. Make sure the paint is straight so that you don’t have an uneven line. 2. 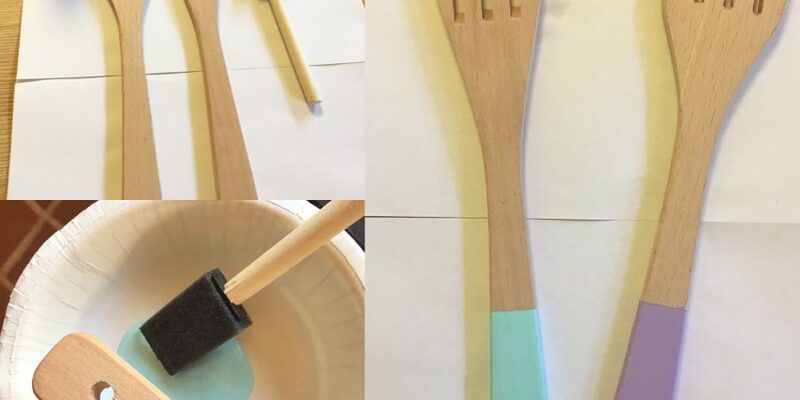 Paint spoons. Let dry for 10 minutes, repeat 2 to 3 times depending on the color. Lighter colors usually require more coats of paint. Repeat for each spoon. 3. Let dry for 4 hours. 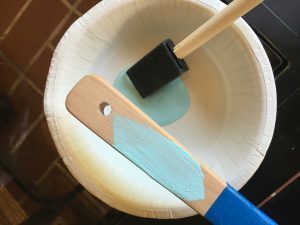 Make sure the painted part is not touching anything while drying. I used a vase that I covered with painters tape at the top. 4. Giving away as a gift? 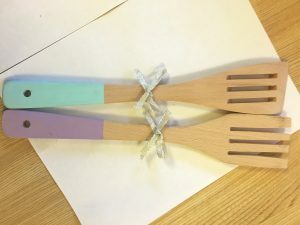 Add ribbon to the top of spoon.